A ‘luxury’ care home has hired the services of a string of Michelin star chefs to make sure its residents tuck into the finest possible cuisine. The Spinney Care Home in Chingford, North East London, launched a book of 136 recipes compiled with the help of the Great British Chefs organisation, catering experts, and friends and family of those who live at the home. The book aims to inspect the Spinney’s chefs Sue Avery and Angela Hale to create high quality food and offer a high end restaurant style experience. 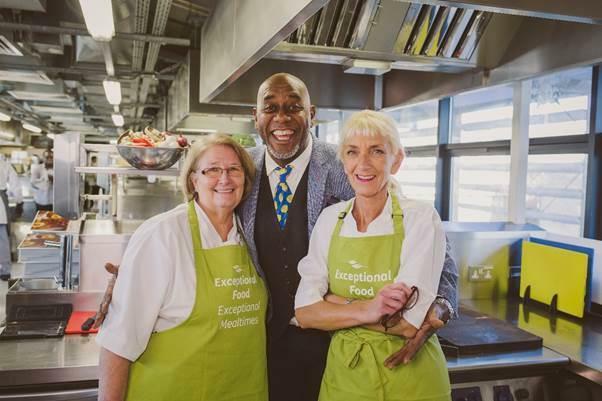 Ainsley Harriott, the Ready, Steady, Cook chef, was invited for the launch. Mr Harriott said: “I am very impressed with this new cookery book. “Of course health and nutrition are absolutely essential when it comes to menus offered in care homes and all the recipes in this excellent book have been developed with that in mind. “But it’s also so important to offer varied and exciting food and to present it well – after all we ‘eat with our eyes’ too.